I'm new in the community I seen all the work that have been done here and it's totally amazing. Mine sound "simple" but for my level it's apparently not. I read many topics online about it and so far what i see is the best option would be to use the ENIO EXP Board. 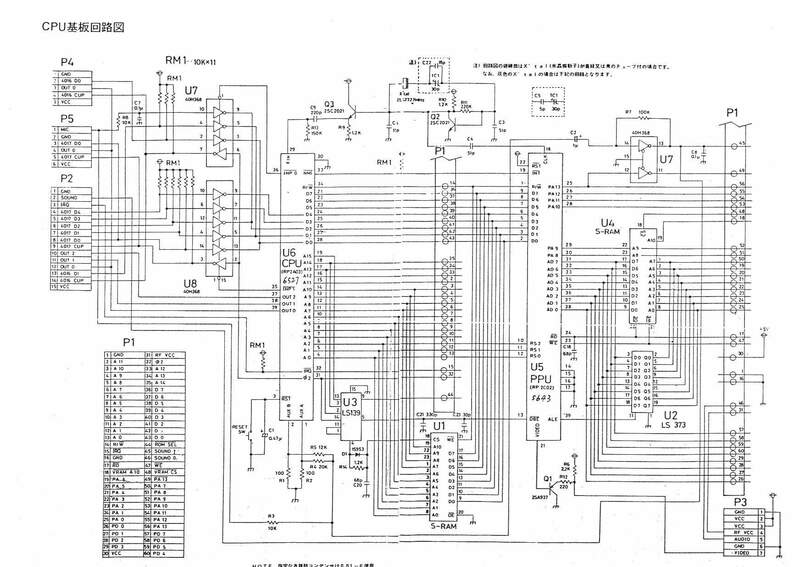 I looked at pinout for famicom P2 and nes here is what i done to connect it. I tested it on double dragon 2 and the only thing that happen is that the P2 character is jumping when i plug the controller. If I wiggle the connector it punch and jump. otherwise using the pad does not make my character move or anything. 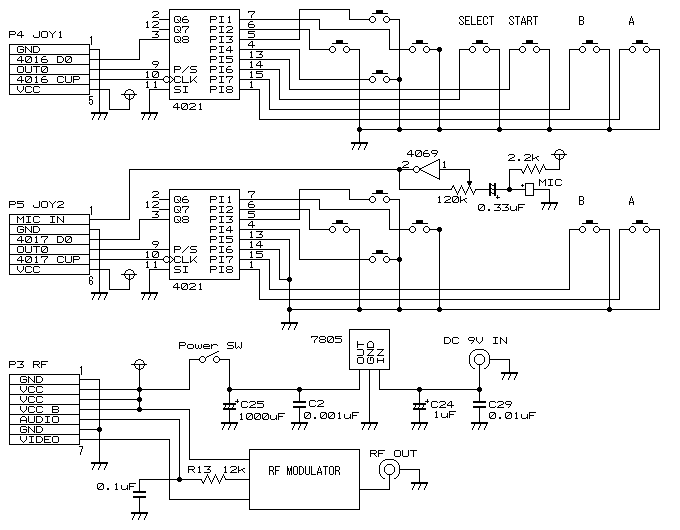 -My pinout scheme is wrong ( most plausible option ). - Anything specific at the famicom player 2 or the fact that it's a square version. 2nd phase: make the mic work probably with the enio exp board or even harwiering it to the board. No thing tested so far but if someone has a solution I'm interested. Need to make my controller work first . If you need pictures or anything let me know. Thanks for you help, because it's been bugging me for a while now and i really want to tackle that damn project . And sorry for that long post i wanted to be super clear. Controller II (minus the microphone) already works on NES. The pins are in the second NES controller port, not the expansion port (The ENIO will allow you to use controller III and IV on a NES though, and you don't need to build anything to do that). All you need is to make an adapter that connects the 5 pins. The lack of START and SELECT is a "feature" of the controller itself and it will always send their states as unpressed to the console, so it should work on a NES without problems. The reason it partly works with Double Dragon 2 is probably because the game allows using controller III and IV as I and II respectively. I advice you to not rely on colours of the wires as they may vary. I would always check that you have the correct wire with a multimeter. I recently posted pinout diagrams in this post. It's about connecting the Four Score, but you need the same diagram. Getting the microphone to work is a bit harder though because the NES is missing some circuitry I heard. I don't know the details though. Here is how the mic is connected in the Famicom and here is how it looks like in the controller. In this thread they are trying to add it to an AV Famicom. Ironically, the front loader NES would be easier to add the microphone, it brings 4016 D2 to the expansion cart connector as well as the signal for audio input to mix the analog microphone with the built-in sound generation. Here is someone else that connected a controller II with microphone to an AV Famicom. That's interesting, cool if you wish to play Tekashi's Challenge on an NES with a Famicom Player 2 controller. Ah Thanks man, you are the first person that helped me out on that task. I'm so happy. Yes a hear that a lot over the time for the colors on the wires. I own a multimeter but... let's say I'm not versed intro electronic. Would you have any link or youtube video that i could refer to test those wires? I know it's pretty bad but even at 36 you have to start somewhere and I figured this project would be perfect to get some basic skills. Google for continuity test. It's just to check what wire is connected to which pin, then write down the colors and pins on paper. If the multimeter probe is too thick to get into the pins you can use a thin metal bar (like a paperclip or something) to stick in there and probe that (crocodile clips helps with this).